“This morning, the dolphin killers discovered a large pod of Pacific White Sided dolphins several miles south of Taiji. After several attempts to escape, the killers managed to trap 3 of these dolphins within a net enclosure just outside of Taiji harbor. 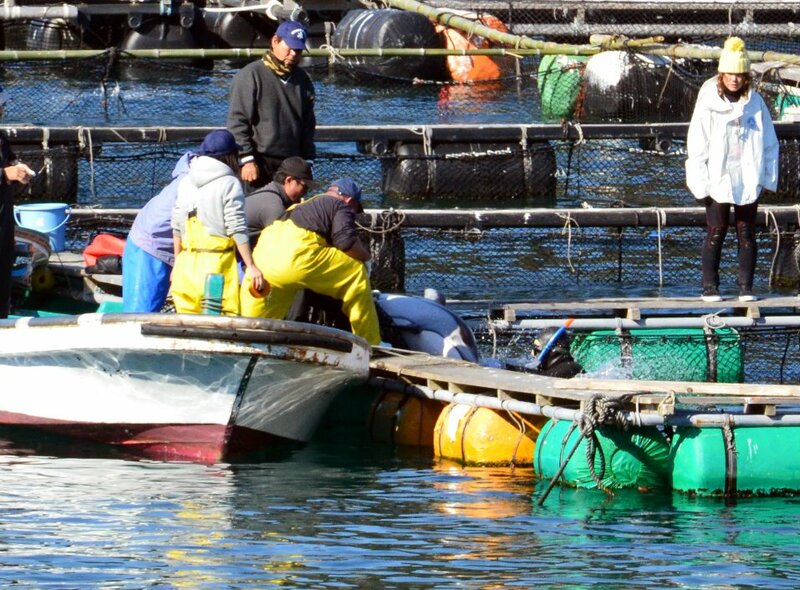 An adult female and two juveniles were trapped within nets, https://rosedixon.wordpress.com/wp-admin/post-new.phptransferred via skiffs and dumped into one of the Taiji harbor captive pens. Dolphin Resort trainers were present during the transfer and were seen attempting to feed these dolphins afterward. This entry was posted in Dolphin, Taiji Terror Tales and tagged japan, Taiji Cove and Related Information, whales. Bookmark the permalink.